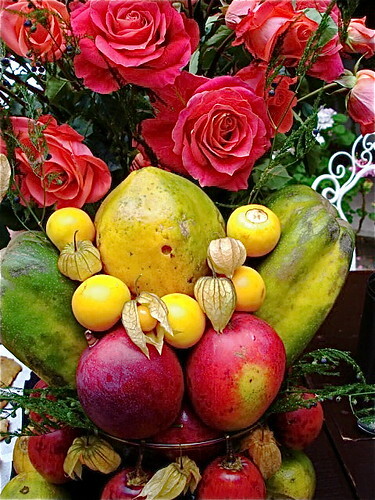 Tag Archive | "Premium Flower Party Club"
Here is a way to earn income and help the environment and the poor… with Ecuador flowers. Our last three messages have looked at advice from billionaires Warren Buffet, Li Ka-Shing and T. Boone Pickens on how to use this economic correction to create wealth. This is why the current market downturn creates opportunity. Changes in the socio-economic paradigm create new unexpected opportunity. As the establishments crumble, new opportunities are created. This makes life really exciting (and lucrative) for the business pioneers who accept and embrace change. Merri and I feel this way every day and hope to share the excitement and opportunity with you. I think there’s a lot of merit in an international economy and global markets, but they’re not sufficient because markets don’t look after social needs. I’m not doing my philanthropic work, out of any kind of guilt, or any need to create good public relations. I’m doing it because I can afford to do it, and I believe in it. Merri and I could not agree more. We have been involved in international business for 40 years, but became involved with Land of the Sun Foundation (LOTS) because we want to help the poor beyond business..
Soros’s final sage comment is: The worse a situation becomes the less it takes to turn it around, the bigger the upside. There are several ways to take advantage of the current economic situation… invest in stocks… real estate… commodities or to have or start your own business. This is why I am writing this series on Ecuador business ideas and have focused on the environment and using organic products which helps all three of the problems above. This is also why we have for the past two years been offering Ecuador roses to help LOTS. 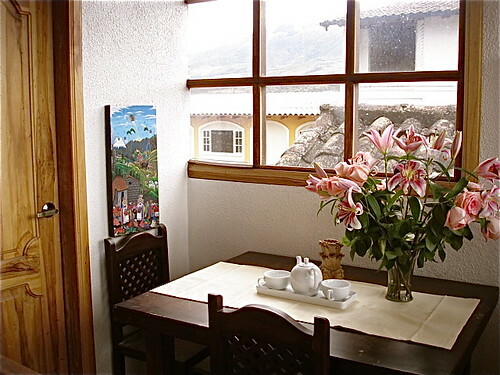 Now we have combined a way for our readers to develop extra income and help the indigenous poor with Ecuador flowers. 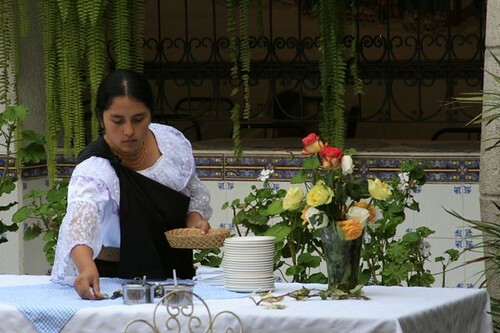 Robert Ribadineira, our flower supplier, has now created a Fresh Flower Party Plan for flowers that can help you earn income as you help the poor. Party plans have been a highly successful way to introduce new ideas by displaying and demonstrating a product to those gathered at a party. Roberto’s Premium Flower Party not only develops income potential and helps the poor but also helps resolve a huge problem that the economic downturn has created in the US. The problem is that in the last two years nearly 30% of America’s florists have gone out of business. It is harder and harder to get fresh premium quality flowers. The new paradigm is that low quality, short lived cut flowers now rule the market. Roberto’s Premium Flower Party creates a new, fun and fulfilling way for Americans to have top quality fresh flowers in their homes. The party plan originated with the Tupperware company in the early 1950s. Tupperware’s success was widely copied and the idea hosting a social event in homes to demonstrate a product has become a popular and proven business model that combines fun and personal customer service. Party plans have been used to sell items such as kitchen products, home decor, jewelry, skincare and cosmetics. Yet fresh premium quality flowers have never been marketed via a party plan…until now. The demise of so many florists and new three day Fedex delivery capabilities have made the Premium Flower Party a logical entry in the new economic paradigm. Here is a note that Roberto sent to me. “Gary, The program will begin as follows. I expect some small changes as we evolve and adjust to circumstances. We can provide our party hostesses with a nice variety of flowers. 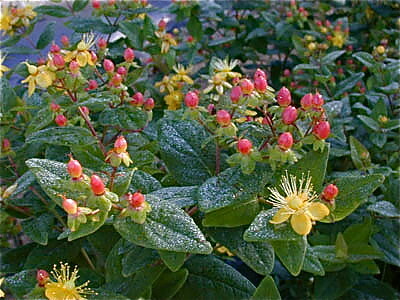 4- This will make 25 arrangements with 4 roses, 4 leather leafs and 4 hypericum in each bouquet. 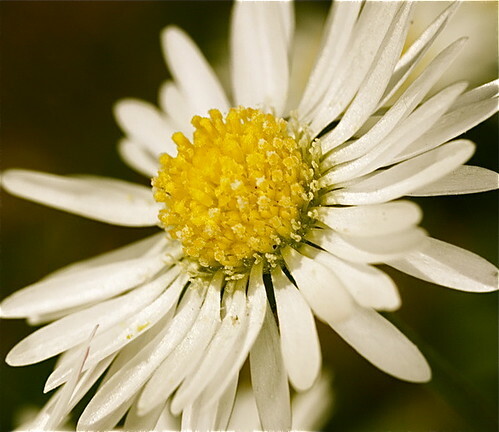 4- This will make 25 arrangements with 4 roses with 4 gypso and 2 daisy in each bouquet. 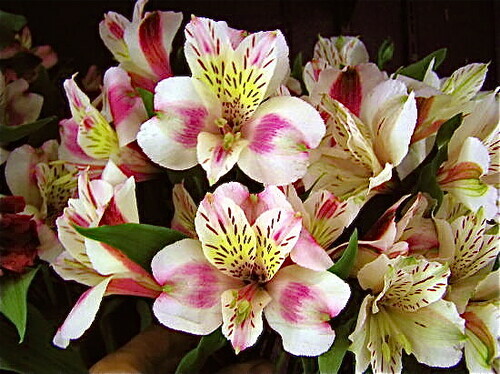 4- This will make 25 arrangements of 4 roses with 1 oriental lily and 4 alstromeria on each bouquet. 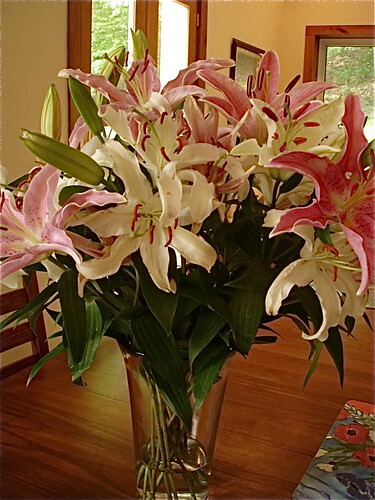 Last year Merri surprised me on Father’s Day not with roses but 25 fresh Ecuador Lilies! 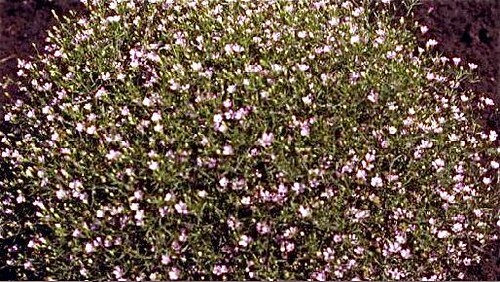 I was thrilled at their beauty, aroma and endurance. 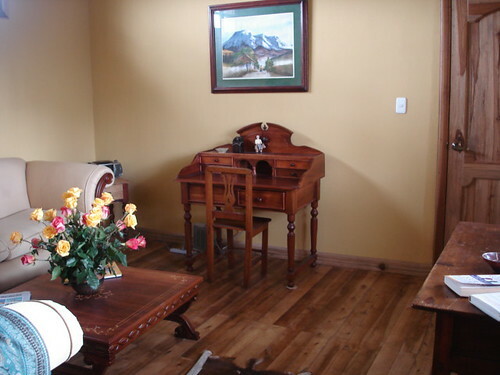 Here are those Ecuador lilies in our home. The arrangements are the freshest premium quality flowers. The can be sold at the Premium Flower Party at $19.99, a price that is very hard to duplicate. Selling 25 bouquets at the party creates an income of $499.75 or double the cost of the flowers. The fun is that each person makes their bouquet at the party! We will provide a pamphlet for each customer with instructions on how to take care of flowers and 25 packs of flower food, plus a DVD that shows how to make the flower arrangement. We plan to offer a different bouquet every two weeks so hostesses can even create a Premium Flower Party Club so guests come twice a month to make their bouquet and take it to their home. 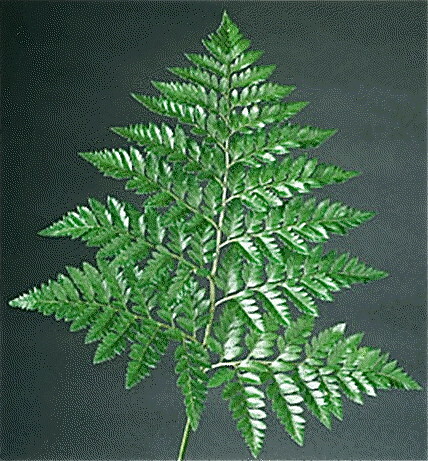 The party hostess can also become a florist and take special orders between each party. Each host or hostess can determine how much he or she would like to contribute to Land of the Sun Foundation… $20 or more. 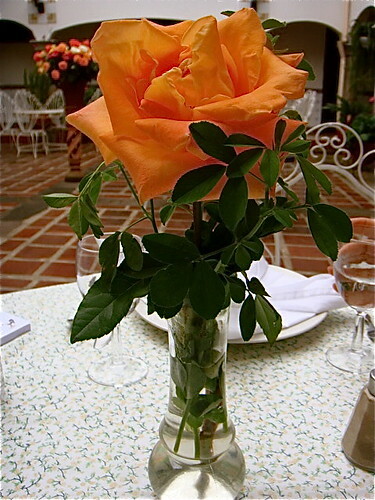 The really good news is that Ecuador flowers and roses are truly the best because there is 365 days a year of direct sunlight. We have roses everywhere in our hotel. 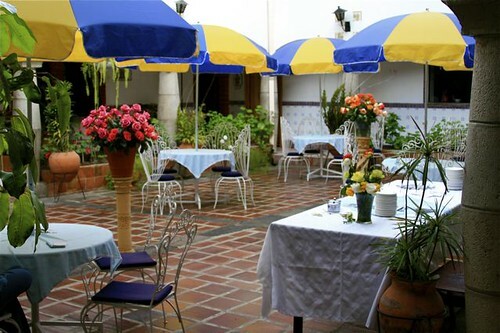 In the court yard where we dine. The Premium Flower Party is a good way to earn income for those who like flowers… like parties… and want to work from home. George Soros had written a fascinating book entitled, “The New Paradigm for Financial Markets”. This book explains that the next generation will have to understand bubbles rather than ignore them. He is a deep thinker with ideas several decades ahead of his time. The flowers delivered are environmentally friendly and fair trade flowers. Until next message, may all your income be good and come with care. To help you learn how to earn income anywhere, I am making a special offer with two days to go. (I have extended this two days due to our web site problem). You can have the “The Tangled Webs We Weave”…our course on how to have a Web Based Business… FREE.. I launched this course earlier this year and am making a special offer…that gives you this course free…and more. Now you can learn everything that I do to create income and have fun and fulfillment in a web based micro business. Here is a special offer. This is a bargain. Merri and I have been traveling and doing international business for 41 years. We have had a web based business for over ten years. You can share everything we have learned. However when you sign up for Tangled Web in March 2009, I’ll include two of my other emailed courses, How to be a Self Publisher and International Business Made EZ FREE as well. My webmaster is joining Merri and me at our two North Carolina courses this year for our first Tangled Web seminars. If you have ordered Tangled Web, I will reduce any of these course fees by $299! In all you receive the emailed “Tangled Web” course, International Business Made EZ” and “How to be a Self Publisher”, FREE when you enroll in either the July, October or November seminar. or enroll for any of the three courses above. I’ll send all three emailed courses free right away. We provide our standard, full guarantee. Enroll. Try the course for 30 days. If not satisfied we’ll give you an immediate, full… no fuss refund. This offer expires at midnight April 3, 2009. What delegates say about our courses.